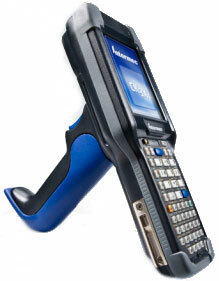 Intermec CK3X - Wi-Fi (802.11a/b/g/n), 2D Imager, Windows Embedded 6.5, 256MB RAM/1GB Flash, Alphanumeric keypad, Bluetooth. Includes battery. Interface cables and charging cradle sold separately. Spare Battery (Part# 318-033-021). Quad charging dock (Part# 871-230-101). Requires Power supply (Part# 851-810-002) and AC power cord (Part# 1-974028-025). The Intermec CK3XAA4K000W4100 is also known as Intermec Technologies	INT-CK3XAA4K000W4100	.